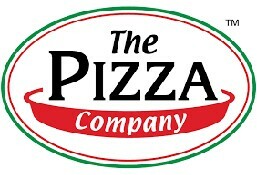 The Pizza Company is currently closed for delivery and it will open at 11:00 AM today . 4 pcs of cheesy garlic bread toast. 8pcs of cheesy breadsticks with cream cheese on the side. 4pcs of garlic toast bread. Spaghetti And Smoked Turkey In Carbonara Sauce Sprinkled With Parmesan Cheese. Choice of pasta or calzoni or small pizza with garden or caesar salad and 1 soft drink on side. 3 Medium Pizza Of Your Choice, 1 Pasta Of Your Choice, 1 Caesar Salad, Garlic Bread, 6 Drinks. Yummy Combination Of Sweet And Sour Flavor Of Juicy Pineapples With Loads Of Smoked Turkey And Beef. Another One Of Our Most Delicious Pizza Recipes That Surely Tickles Your Taste Buds With Beef, Beef Pepperoni, Beef Sausage And Juicy Pineapple With Thousand Island Sauce. Tangy Bbq Sauce With Succulent Chunks Of Char Grilled Chicken, Beef Slices, Roasted Onion & Grilled Capsicum. For Cheese Lovers, A Double Helping Blended Of Mozzarella Cheese. Choice of Cheese crust or Sausage and cheese crust for Cheese Lovers, A Double Helping Blended Of Mozzarella Cheese. Our Signature Pizza With Beef Pepperoni, Ground Beef, Italian Sausage, Mushrooms, Onion, Capsicum & Black Olives. Lightly Roasted Chicken, Bbq Chicken, Garlic Butter Chicken Enhanced With Chili. Juicy Bbq Chicken Pieces With Onion, Capsicum And Tomato. Tasty Prawn And Crab Sticks With Onion, Capsicum & Tomato On Our Own Special Seafood Sauce. Topped with fresh prawns, crab sticks, mussels, and calamari. It's a real seafood parade! Variety Is The Keyword For This Creation! Fresh Prawns, Succulent Crab Sticks, Beef, And Juicy Pineapples With Thousand Island Sauce. Simply Great! Pineapple And Prawns On Our Tangy Pizza Sauce. Roasted chicken,mozarella cheese,tomato with fresh basil in crispy thin crust. Beef ham,mozarella cheese,tomato,pineapple in thousand island sauce and crispy thin crust. Spicy BBQ chicken,mozarella cheese,Red and Green chili in BBQ sauce and crispy thin crust. Tangy garlic butter chicken pieces with onion, capsicum and tomato. Home-made fresh iced tea in lemon flavor.